Major attractions are the black-maned Kalahari Lion, graceful gemsbok, plentiful springbok, characterful suricates, standing guard at their burrows and the fascinating nests of the social weaver bird. Kgalagadi Transfrontier Park is southern Africa's first transfrontier or peace park, created by joining the adjacent Kalahari Gemsbok National Park in South Africa and the Gemsbok National Park in Botswana.Major attractions are the black-maned Kalahari Lion, which tend to be a little bigger and somewhat more imposing than their Lowveld cousins, graceful gemsbok, plentiful springbok, characterful suricates, standing guard at their burrows and the fascinating nests of the social weaver bird.You could do escorted walks from Twee Rivieren or Mata Mata Camps, nights drives from Twee Rivieren or Nossob or do a self-guided game drive in a rental vehicle.Twee Rivieren is the biggest camp, with a shop, fuel station, swimming pool, mobile phone reception, camp sites and chalets. Nossob and Mata Mata are also quite organised but not as big as Twee Rivieren and don't have a swimming pool. 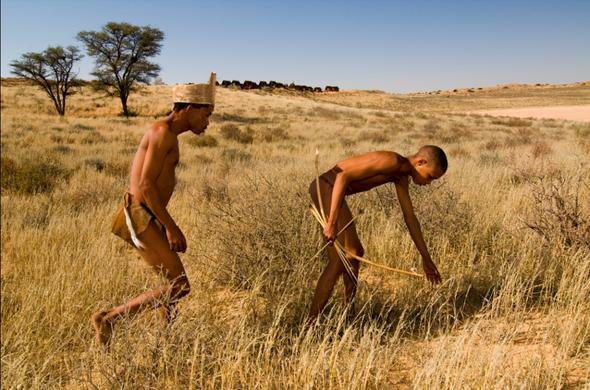 There are three self-catering wilderness camps, Bitterpan, Grootkolk and Kalahari Tent Camp. Of these the most characterful is Kalahari, with its rather stylish tented accommodation and - important in that desert climate - a swimming pool. Each camp has at least one wheelchair-accessible room, chalet or tent.A wonderful experience for reasonably self-sufficient visitors would be to rent a good four-wheel drive vehicle (complete with all camping gear) and do the 4-day, 3-night escorted Nossob 4x4 Eco Trail. A real adventure, you get to drive yourselves through the deep Kalahari, with interesting and informative interpretive stops, and setting up camp every night, deep in the bush.Visitors wishing to enter and leave the park from different countries (ie Botswana and South Africa) need to clear immigration at Twee Rivieren on the South African side and Two River in Botswana. The park is quite remote from any direction, lying deep in the Kalahari. It is a drive of about 3 or 4 hours from Upington, and the easiest way to get there is to fly to Upington and rent a car.